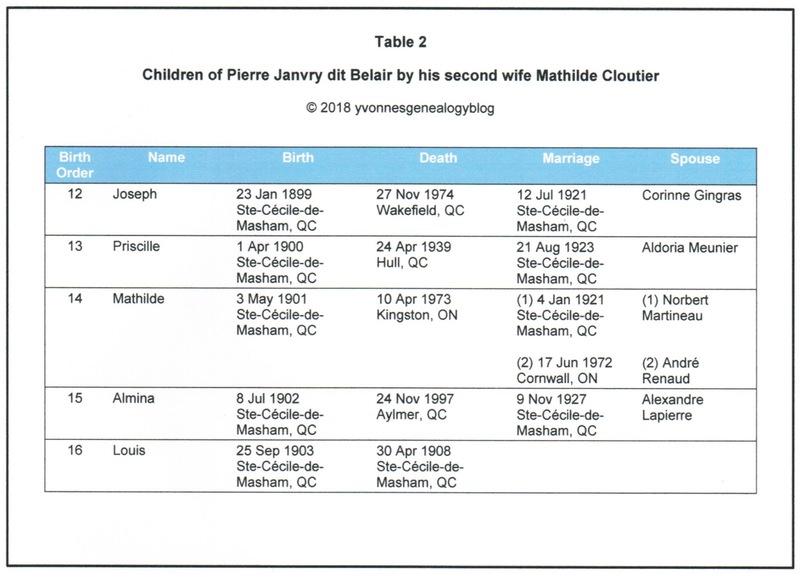 My paternal great-grandfather Pierre Janvry dit Belair was the father of sixteen children by his first two wives, Angélina Meunier (1855-1896) and Mathilde Cloutier (1861-1923). Pierre and his third wife Rosalie Lavictoire (1859-1927) did not have children. 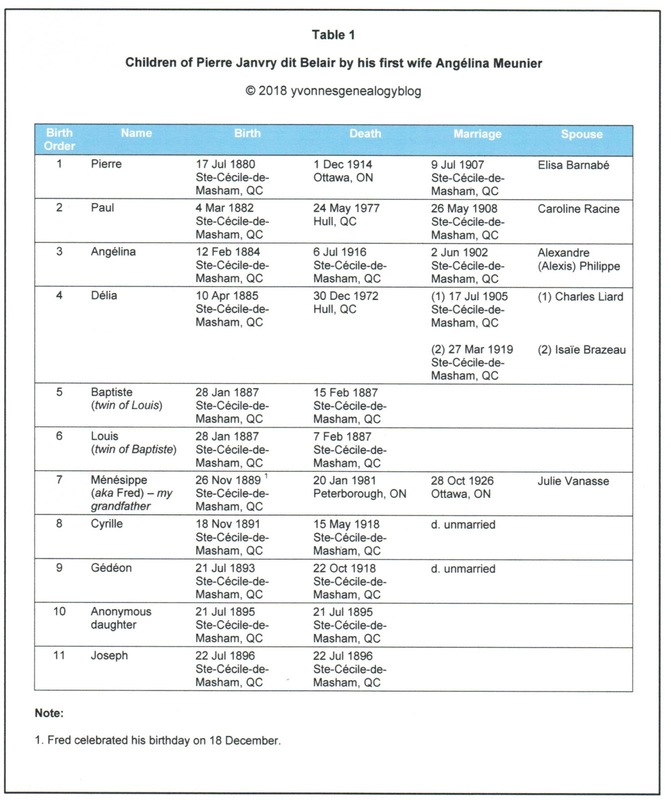 By Angélina (my great-grandmother), Pierre had ten sons and six daughters. By Mathilde, he had two sons and three daughters. Photos of Pierre are rare. Here is one that my late cousin Suzanne (who descends from Mathilde) sent me some years ago. 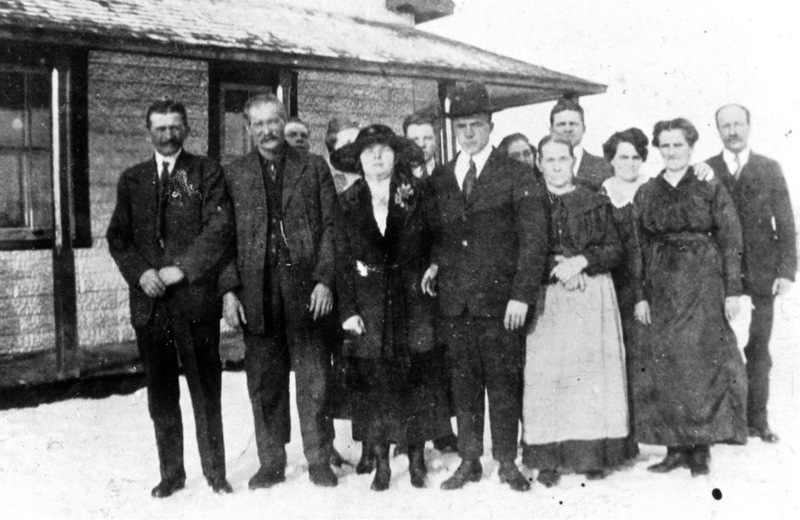 Pierre is the second from left, his daughter Mathilde (in a hat) and her new husband Norbert are in the centre, while his wife Mathilde (in apron) is next to them. 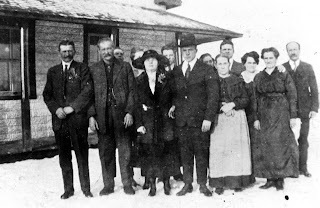 I wrote about this wedding in Wedding Wednesday: Martineau – Belair. 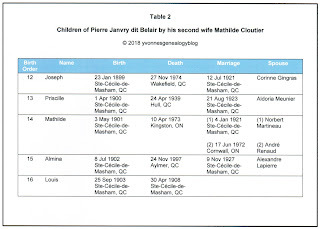 I prepared the following tables to show Pierre’s children with their birth, marriage(s), and death details. 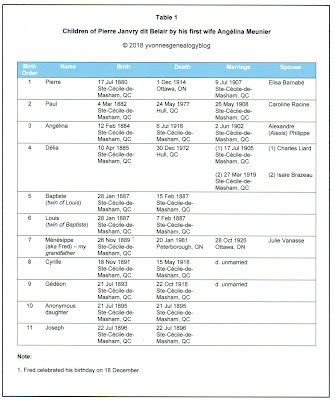 Most of this information is from sacramental records, but some is from death registrations, census records, and family information.